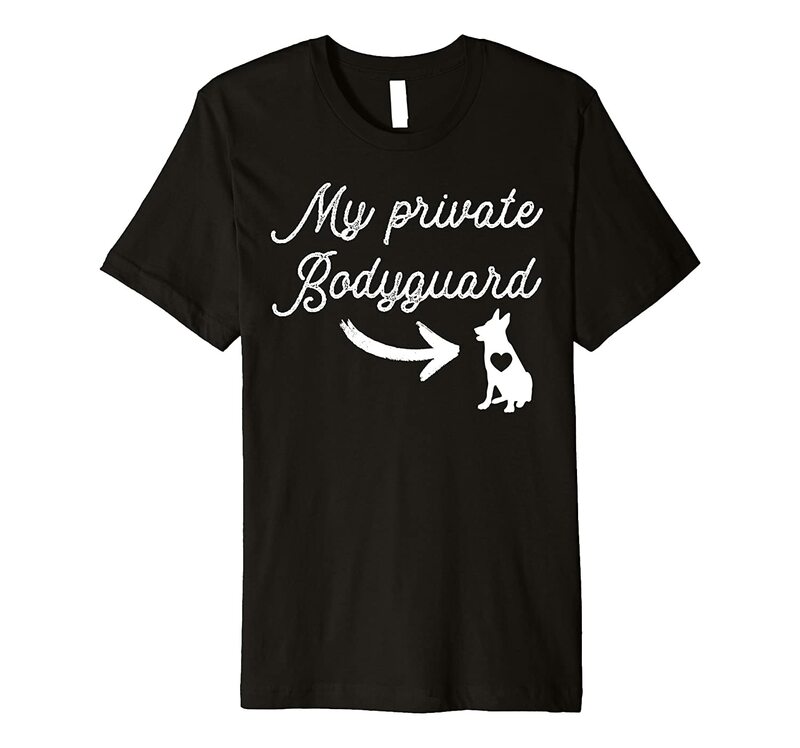 Funny Shirt with saying – My private bodyguard is my Dog! Best gifts ideas for dogs owners. Trendy, brightly colored graphics. A unique gift idea for a friend or family member. Wear it day or night for an instantly awesome look! Best gift ideas for your love one. This premium t-shirt is made of lightweight fine jersey fabric, Funny Shirt with saying – My private bodyguard is my Dog! Best gifts ideas for dogs owners. This premium t-shirt is made of lightweight fine jersey fabric, Trendy, brightly colored graphics. A unique gift idea for a friend or family member. Wear it day or night for an instantly awesome look! Best gift ideas for your love one.